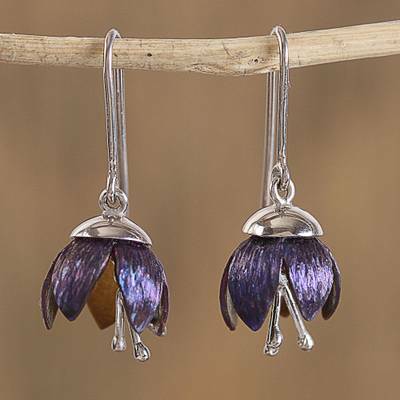 Floral Titanium Plated Sterling Silver Dangle Earrings, "Button Flowers"
As cute as buttons, two gleaming purple flowers are handcrafted from sterling silver plated in titanium. Mexican artisan Diana Solis designs this modern pair of dangle earrings, which is further enhanced with sterling silver. Each earring dangles from a sterling hook.